Who is the Ascended Master Lanto? Where is the Royal Teton Retreat? What do you learn at that etheric retreat? How can we study there? Lord Lanto, chohan of the second ray, is an ascended master of high attainment whose evolution is of the mystery schools of China. He teaches now in the Royal Teton Retreat in North America, which is congruent with the Grand Teton. There he initiates souls who are pursuing the path of the wisdom teachings of Confucius, Lao Tzu, the Buddha, Jesus Christ and Mary. What does Lord Lanto teach? Lord Lanto teaches us to meditate upon the threefold flame within the heart and specifically upon the central plume of that trinity—the yellow flame of wisdom. He teaches us in our meditation to draw this flame out of the heart and to raise it to the point of the crown chakra, which is the center for illumination, for the enlightenment of the Buddha and the Christ. He asks us to visualize in our meditation the white light in the heart as a great sphere symbolizing and actualizing our cosmic consciousness. This place in the heart is our seat of authority and our seat of consciousness; it is also the seat of meditation. As we close our eyes and breathe deeply and relax the body, we enter into the chamber of the heart that is known as the secret chamber of the heart. Here we commune with the ascended masters, with our own I AM Presence and our own Christ Self. “Going within” in meditation, which Lanto teaches, is actually going into the inner temple of the soul. Within this temple we can hear the soundless sound and commune with our elder brothers and sisters who have gone before us on the path of initiation and who are one with the white light through the ascension. 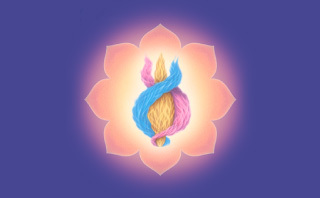 Lanto teaches us the opening of the crown chakra through the mastery of the heart center. It is always the balance of love, wisdom and power that is the key to Christhood and to Buddhahood. This is the prayer of the mystic who communes with the flame of wisdom through the Trinity of Father, Son and Holy Spirit. How can someone in the West profit by this? We find that wisdom is an active flame and that we require wisdom to daily be about our Father's business. Wisdom simply means “wise dominion.” It means using the laws of God wisely to take dominion in our lives. We need wisdom to run our affairs, our households, our businesses, to rear our children and to see that the education in our schools for our children prepares them for the initiations of life that come to all of us because earth itself is a mystery school. Are all of us taught at the Royal Teton? We have the opportunity to call to the God flame within, the I AM THAT I AM, that our souls might be transported to this key retreat in North America where we can study under the ascended masters and the chohans of the rays. Anchored in the Royal Teton is the wisdom flame, and this wisdom is intended to be used by the people of North America in every endeavor for the enlightenment of all peoples. We can meditate on this flame and also on the flame of precipitation, science, abundance and supply. The flame of precipitation is a brilliant Chinese green tinged with yellow. As we meditate upon this green flame, we can draw forth from the heart center, or the white-fire core of being, those energies and resources that we need to master our environment. Until recently the American way of life has been the symbol of a genius of a people who were able to master their environment. But today we have increasing problems in our ecology and in the use of God's energy. If we will meditate upon the heart and upon the masters of the Royal Teton Retreat, we can be tutored in the way of the mastery of our culture and our environment and once again be prepared to give to all nations the genius of our collective meditation upon the God flame. Mrs. Prophet, what happens at the Royal Teton? The Royal Teton Retreat was described by Godfré Ray King in Unveiled Mysteries, which he wrote in the early 1930s. Godfré Ray King was a chela of the Ascended Master Saint Germain, who also uses the Royal Teton Retreat for the training of his chelas. There are many chambers within the Royal Teton Retreat and there is a large amphitheater. This retreat can accommodate thousands upon thousands of souls. It is a hub of activity of lightbearers in embodiment, of those who are serving in the etheric retreats preparing for reincarnation, and of the ascended masters. We meditate on this retreat through the music Song to the Evening Star from Tannhäuser by Wagner. 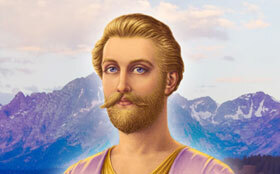 The Ascended Master Confucius is the present hierarch of the Royal Teton Retreat. He anchors there the momentum of his great service to the people of China. He brings the strains of the East and even the momentum of Zen Buddhism and the way of the Tao to North America, where students of light are communing with the inner flame and finding the thread of contact with hierarchy through the Eastern disciplines. The Lords of Karma, who are the great overseers of mankind, also convene at the Royal Teton, and the mighty Elohim of God have a focus of the seven chakras there. Godfré Ray King described the great council hall, which he personally visited with his master, Saint Germain. He noted that in the center of the arched ceiling is a large disc of gold. A seven-pointed star formed entirely of dazzling yellow diamonds fills the center of the disc and emits a brilliant golden light. Surrounding this focus of the Central Sun are two twelve-inch rings, the inner ring rose pink and the outer a deep violet. Seven smaller discs also surround the Central Sun, focusing the seven rays of the Elohim, which contact and invigorate the seven chakras in man. 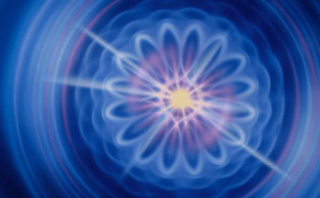 The currents that the Elohim direct through these focuses also benefit the elemental kingdom and plant life on earth. The tremendous currents released by the Elohim are stepped down by the ascended masters and made available to mankind and the elementals. Focused in the wall at the far end of this great council hall is a large eye, representative of the All-Seeing Eye of God watching over America. And so the Royal Teton Retreat is like the heartbeat of America. If you would like to study at this retreat in your finer body, write to us for an application to join the Keepers of the Flame Fraternity and to receive the Keepers of the Flame Lessons. These lessons describe in detail the necessary meditations and uses of the Science of the Spoken Word as well as the technique for consciously leaving the body and journeying at will to the retreats of the Great White Brotherhood. What are some of the applications of the teachings of the Royal Teton? The teachings given forth by the ascended masters to their chelas in this retreat are a practical application of the law of the great masters of East and West. This practical application is seen in the mastery of time and space, which has been the pursuit of America over the last two hundred years. 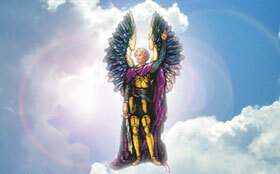 We can see that the consciousness of our people is very much aligned with this aspect of God consciousness. And we can see how different the American people are from peoples in other nations who respond to other retreats of the Great White Brotherhood where other aspects of God's flame as genius are ensouled. This is what gives nations and peoples their individuality. The American way of life is brought to a spiritualization through the mastery of the flame of the Mother in Matter. It becomes practical as the right form of education at all levels of learning, clearing the brain and the consciousness to be a focal point for the mind of God.